To understand portal applications and the principles of their development, we need to distinguish between a portal and a portlet. 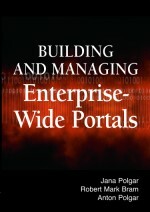 A portal is a framework that lets you plug in new features or extensions called portlets. In the same way that a servlet is an application component within a Web server, a portlet is an application component within a portal. A portal is a Web application. Developing portlets is the most important task in making portals function as the user’s window to information and tasks. Portlets are an encapsulation of content and functionality. They are reusable components that combine Web-based content, application functionality, and access to resources. Portlets must be considered as complete applications, having multiple states and view modes. They have messaging and event recognition capabilities. Portlets are assembled in portal pages that make up a portal implementation. An important issue is the design of a portal page as the aggregate of several different portlets.